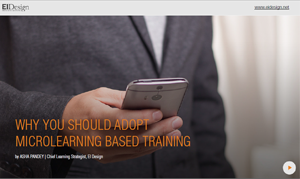 L&D teams can leverage on Self-Directed Learning (SDL) to create a vibrant, learning organization. In this article, I touch upon what SDL is, its key characteristics, and how you can create a culture of self-directed learning in your organization. In simple terms, the self-directed learning approach is all about transferring the onus of learning to the learner(rather than the instructor/teacher. 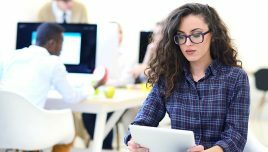 In the context of corporate learning, it amounts to empowering employees to make the required decisions on their learning. In contrast to the typical “push” based approach that most organizations have wherein the stipulated online trainings are planned and rolled out through the LMS, the self-directed learning is about giving the control to the learners on how they want to learn, what path they wish to choose, over what time frame, and so on. As you will note, this approach provides control to the learners and gives them the option to decide what they wish to learn and when, and how. What Are The Key Characteristics Of Self-Directed Learning? It is a learner-centric approach and provides full control to the learners. 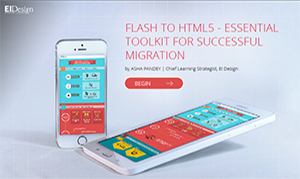 It offers learners tremendous flexibility in enabling learners to fully own the learning path. They can plan their learning journey, the combination of learning assets, the pace at which they want to consume it, and so on. Today’s technology can easily facilitate the learners in this endeavor. 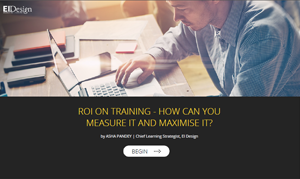 It provides room for learning by choice and notably enables learners to pick learning assets that are relevant to them and aid them to acquire and apply learning on the job. As an extension, self-directed learning would facilitate specialization and deeper learning since the choice and control is with the learners. What Are the Key Benefits As You Adopt Self-Directed Learning? Self-directed learning offers a more relevant learning option to the learners: Given the fact that learners get to choose what they want to learn, they can pick and choose the learning assets that are relevant to them. Self-directed learning nudges the learners to acquire new skills or hone their existing skills to mastery. Self-directed learning offers the control that adult learners seek: All adult learners want control of what and how they learn rather than being “prescribed” what they should learn. Self-directed learning offers the flexibility to match each learner’s learning style: By giving the control to the learner, they can opt for learning assets that resonate best with them. 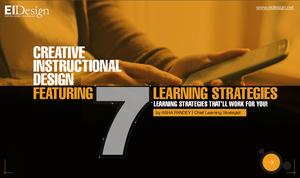 Self-directed learning facilitates the ongoing consumption of updates, new information, and related information that can equip learners to perform better. How Can Organizations Create A Culture Of Self-Directed Learning In The Workplace? In today’s world, knowledge is a significant differentiator for organizations. Hence L&D teams need to ensure that the employees are engaged, motivated to learn, and are encouraged to keep enhancing their skills. They also need to be fully in sync with what is happening in their industry, competition, and how they can help their organization stay ahead. All of these aspects can be positively impacted by the adoption of a self-directed learning based culture in the organization. Create awareness on how the self-directed learning culture will help the learners. Showcase how self-directed learning will help the organization. Create a focus group with representation across levels to drive and manage the mandate. 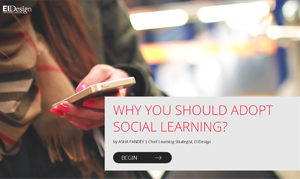 Invest on a learning portal (that would serve as self-directed learning platform) for hosting, accessing curated information, as well as provide avenues for social or collaborative learning. 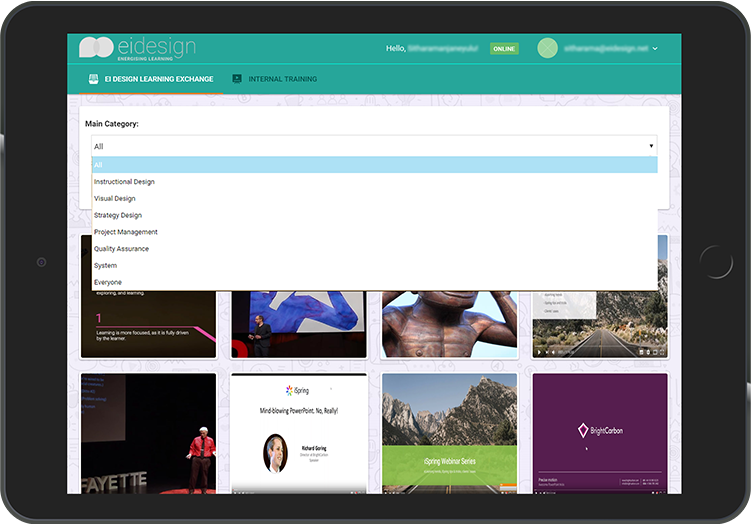 Provide learning portals or self-directed learning platforms that have relevant and curated information. Source learning assets that are relevant to employees’ learning goals and would help them perform better. Provide forums to exchange ideas, thoughts, and experiences. Provide time to accomplish the learning. Reward employees who leverage and contribute. Highlight success stories to ensure that a further propagation of self-directed learning culture can happen. Provision for semi-structured sessions where recommendations can be shared. Take feedback and continuously enhance the learning repository to retain its relevance and ability to create the required mandate. Are There Any Aspects To Watch Out For As You Work Toward Creating A Culture Of Self-Directed Learning In The Workplace? Like any approach, self-directed learning also has certain challenges. Some learners do need the rigor of a “push” based approach, as when they are left to themselves, they are just not motivated. Sometimes, the freedom to plan their own learning can backfire because some learners do not necessarily run with this. They do need guidance, deadlines, and supervision to complete this exercise. In spite of these challenges, you must invest on promoting and leveraging on self-directed learning in the workplace. This will go a long way in creating a culture of “learning as a continuum” and nurturing employees that are motivated and engaged. 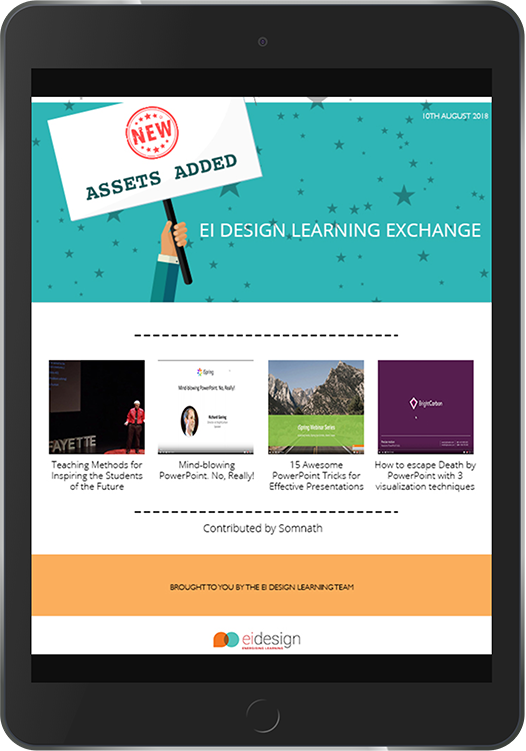 I take this opportunity to show you a case study that highlights some of the measures we have taken at EI Design to create a culture of self-directed learning. Engaged learners need quick access to information and flexibility to chart their own desired learning path to find it. Unfortunately, most LMSs just aren’t equipped to provide rapid recall for long-term retention. 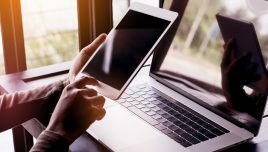 Self-directed learning platforms not only provide learners access information as efficiently as possible but also allow them to contribute to the platform by sharing resources. 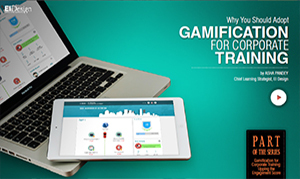 In addition to this, learners are recognized for contributions made through gamification aspects, like points and achievement badges. 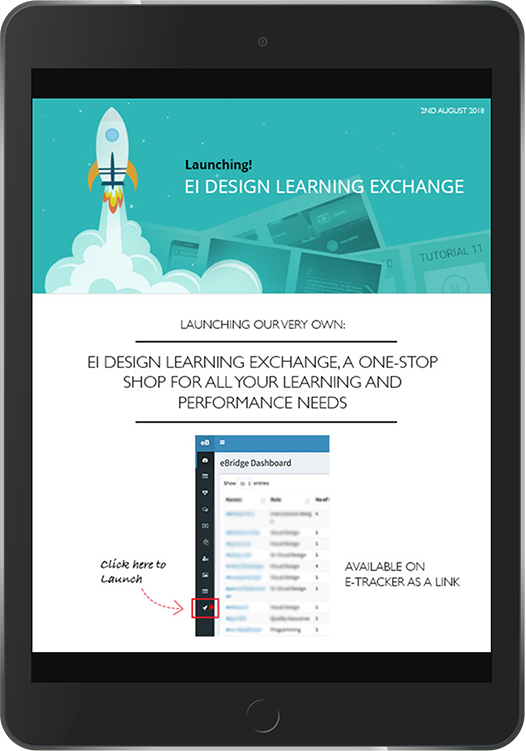 At EI Design, we created EI Design Learning Exchange to promote the culture of self-directed learning in the organization. We have used personalized, curated learning paths to promote a culture on “ongoing learning” with great success. We used an email campaign to popularize this platform and generated interest by showing benefits like ease of access to relevant information, rewards and recognition, and a wide variety of learning assets available. We provided a user-friendly interface that allows super easy access to information on a wide variety of topics. We also provide flexibility to learners to filter and search information based on their preferences. 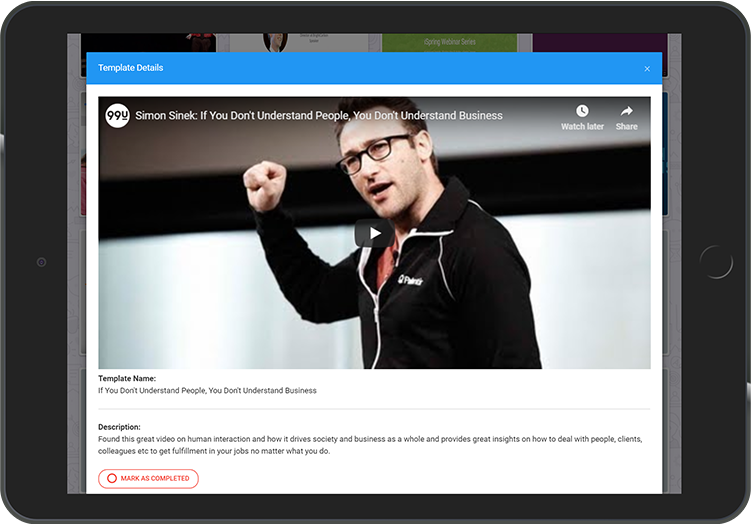 We curated content from various sources like TEDx, YouTube, HBR, popular blogs, internal LMS content etc., which learners can access from any device. The control on the relevance and sanctity of the content lies with a core team (includes L&D team as well as Domain heads). 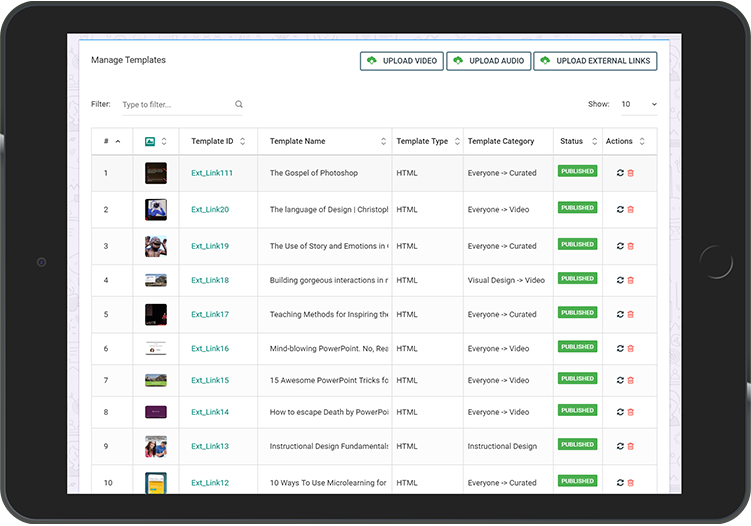 Learners can contribute to the platform by sharing links, video assets, online courses on relevant subjects, personally recorded audio files, tool and process simulations etc. (This is validated by the core team before the release). WhatsApp was used as a simple but effective way to share news on the addition of new content, as well as crucial resources that needed immediate attention. To keep the motivation and engagement levels high, learners are given points for completing learning assets within the portal and recognition in the form of badges and stars for key contributions made. Printed posters are used to make learners aware of the approach that is of strategic value for the company. This also facilitates more involvement from the learners and the contributors. Take a look at some of the screenshots to see how you can use simple measures to encourage and promote self-directed learning in the workplace. Email campaign to initiate the platform to the learners and make it popular. Simple and intuitive interface for ease of access to information. Content curated from various sources (featuring different formats), is used to make the learning more relevant and multi-faceted. 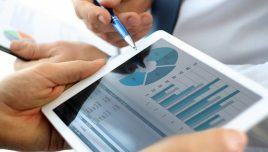 Contributors and experts could share content from various sources using very simple steps (The final validation of the content would lie with the core team to determine relevance). As soon as new content was available, WhatsApp messages and emails were sent to all learners announcing the new content. In the process, we also recognize the contributors. I hope this article and the featured case study give you the pointers that you can use to facilitate self-directed learning in your organization. 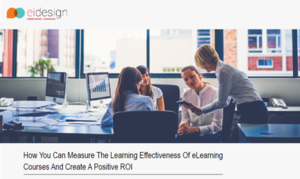 At EI Design, we have already seen early success, and we believe this initiative will certainly go a long way in creating a learning organization and keeping us ahead of the competition.